The Buddy Box, named after Buddy himself, is a box full of goodies that are perfect to surprise your Pooch. A Buddy Box contains 3-6 carefully curated toys, accessories, treats or grooming products that are hand picked by us. We try our best to ensure every product in the box is Human Grade, because pets are people too. If Mommy & Daddy cannot use or eat then why should your pooch? 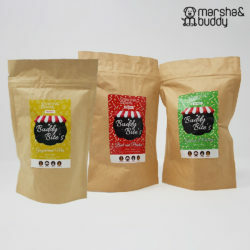 Marsha and Buddy try and source handmade natural products to ensure we only provide the best for you and your pooch baby. Every month is a new discovery! Rest assured, Buddy himself has approved of every product in the box. 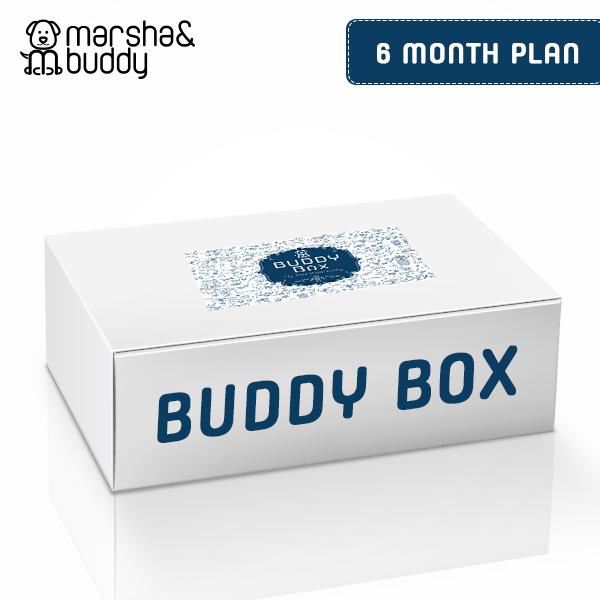 Buddy Box Ships out after the 15th of every month. 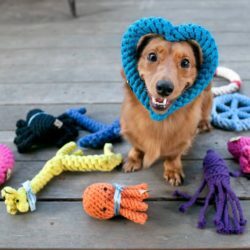 Don’t worry, we can deliver one a little early if you need a special surprise.Once you sign up with Buddy Box, you will receive a box full of goodies for your pet. Each product in the box is carefully curated for your pets needs and lifestyle. You will receive anything ranging from toys, food, treats, grooming products, apparel and sometimes even a little something for you.So, go ahead, sign-up for this box today and watch your pet go bonkers!